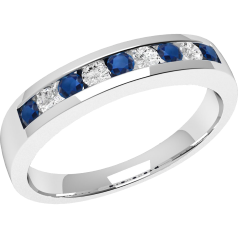 Our rules for using the royal-diamonds.co.uk website. 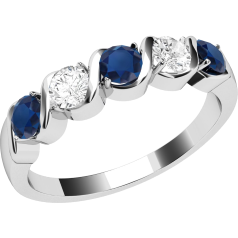 If you have seen a ring you like and would like to try it on before purchasing, we can send you a silver sample of the product you are interested in. If you have any questions, don't hesitate to ask me. I will be happy to answer. 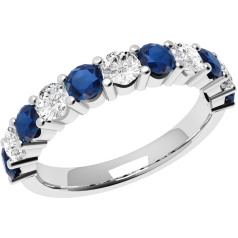 0.10ct - 423 GBP 473 A 9ct white gold sapphire and diamond eternity ring , with 5 round sapphires weighing approx. 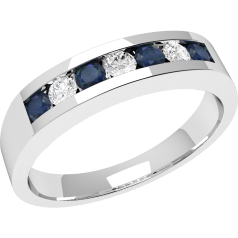 0.20ct, and 4 round brilliant cut diamonds weighing 0.10ct all in a channel setting. 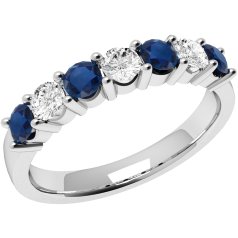 Please note if you have another sapphire item of jewellery that you would like this to match, please send us the item by Royal Mail Special Delivery, so that we can match the colour as near as is possible. A 9ct white gold sapphire and diamond eternity ring , with 5 round sapphires weighing approx. 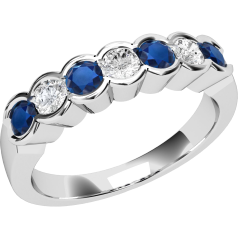 0.20ct, and 4 round brilliant cut diamonds weighing 0.10ct all in a channel setting. 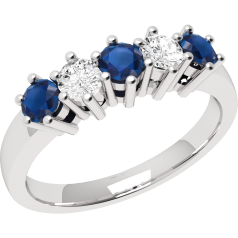 Please note if you have another sapphire item of jewellery that you would like this to match, please send us the item by Royal Mail Special Delivery, so that we can match the colour as near as is possible. 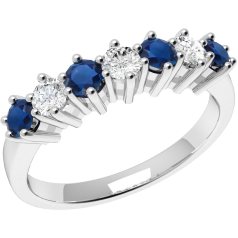 A diamond certificate means that all elements of the diamond you purchased have been examined and rigorously tested. 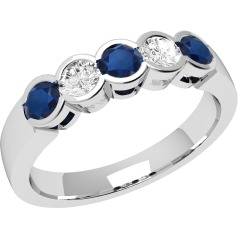 Your certification report is recognised proof of "The Four Cs"--Cut, Clarity, Colour and Carat weight - of your diamond`s. CAN'T WAIT MORE THAN 48 HOURS? We also have a collection of 48 hour delivery items available. You're currently browsing our made-to-order items which can take 10 to 15 days to deliver. If you need something quicker, we can help, please contact us.